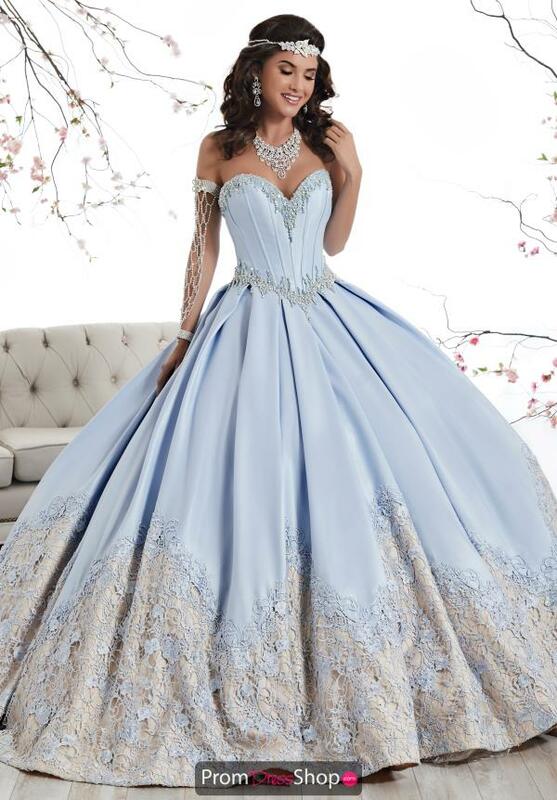 Feel on trend in this vintage chic Tiffany Quinceanera dress 26874 and shock your guests. A classic strapless sweetheart neckline features a dazzling beaded trim which mirrors along the V-waistline. A full skirt flares out and features an impeccable lace detailing along the hemline with shimmering stones for a reflection. Find more quinceanera dresses at www.promdressshop.com.